A-HOTEL.com - Luxury and cheap accommodation in Shcheglov, Russia. Prices and hotel, apartment booking in Shcheglov and surrounding. 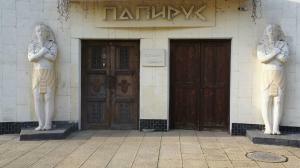 Featuring air-conditioned accommodation with a balcony, Аппартаменты на ул. Дружбы is situated in Volgodonsk. Otel Hotel is located a 5-minute walk from the main Stroiteley Prospekt in Volgodonsk. It offers a garden, billiards, bowling and evening entertainment. Located in Volgodonsk in the Rostov region, Апартаменты на проспекте Курчатова has a balcony. This apartment also features free WiFi. Gostinitsa-A features accommodation in Volgodonsk. Among the facilities of this property are a restaurant, a 24-hour front desk and room service, along with free WiFi. Guest House Liza features free WiFi and rooms with air conditioning in Volgodonsk. Featuring a shared kitchen, this property also provides guests with a barbecue. 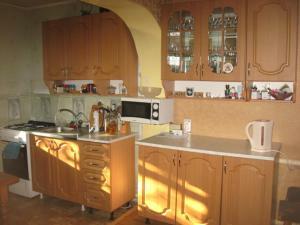 Guesthouse on Agatovaya 10 offers accommodation in Volgodonsk. The air-conditioned rooms are equipped with a private bathroom and a flat-screen TV. Set in Volgodonsk in the Rostov region, Apartment on Zarechnaya 6B provides accommodation with free WiFi. The accommodation consists of a living room, a well-equipped kitchen with a dining area, and a private bathroom with bath. Featuring free WiFi, Aelita Hotel is set in Volgodonsk. Among the various facilities are a shared lounge and a bar. Situated in Volgodonsk, Hotel Katalpa features a shared lounge and free WiFi. This 2-star inn offers a 24-hour front desk. Volgodonsk Hotel is located in Volgodonsk, a 8-minute walk from Lenina Square. Free Wi-Fi access is available. Offering an indoor pool and a spa centre, Hotel Art City is located next to Park Pobedy in Volgodonsk. Free WiFi access is available. гостиница Папирус provides free WiFi and rooms with air conditioning in Volgodonsk. The property offers a 24-hour front desk. Квартира в 2х этажном котедже is set in Kotel'nikovo. Guests may enjoy free WiFi. гостиница "Комфорт" is offering accommodation in Kotel'nikovo. Featuring a 24-hour front desk, this property also provides guests with a restaurant. 7 Kings provides accommodation in Kotel'nikovo. All rooms feature a flat-screen TV with satellite channels and a private bathroom. Offering an outdoor pool and a sauna, Malinka Guest House is located in Volgodonsk, on the bank of the Don River. Each room here will provide you with a TV, air conditioning and a balcony. Boasting a bar and free WiFi, Смак is situated in Kotel'nikovo. Rooms come with a flat-screen TV with satellite channels. Featuring a barbecue, Baza Otdykha Chaika offers accommodation in Tsimlyansk on the banks of Tsimlyanskoye Reservoir. Guests can enjoy the on-site bar. Located on the banks of the Don River, Donskaya Volna features a number of facilities such as a pool, a restaurant, a sauna, and a spa and wellness centre. Rooms at the Donskaya Volna offer a balcony, air conditioning, a refrigerator, and a private bathroom.